Much awaited television reality show Bigg Boss 3 is almost ready to be aired on Colors channel. This year the Big B Amitabh Bachchan is going to host the show. Officially, participant’s names are yet to be announced by the channel, but Amitabh Bachchan’s promo is airing from some time back on Colors. So he is final! According to unofficial sources, Baba Ramdev could participate in the show but Baba Ramdev has refused the rumours about his participation in Bigg Boss season 3. The other big name in possible contestant is Bharatiya Janata Party controversial MP Varun Gandhi. Last year in Bigg Boss season 2 Congress leader Sanjay Nirupam took part in the show and was eliminated in the very first week. Actor Aditya Panscholi, Sherlyn Chopra, film Desh Drohi actor-producer Kamal R Khan and German model-actress Claudia Ciesla (she was allegedly linked with Salman Khan and also with Abhishek Bachchan) are suppose to take part in this show. 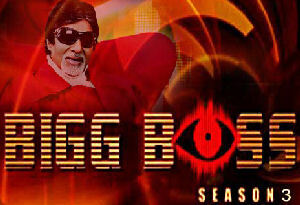 Entire nation is now eagerly waiting for Bigg Boss season 3. Hope like earlier seasons of Bigg Boss, this season will also hit the TRP of the channel and will thoroughly entertain us. 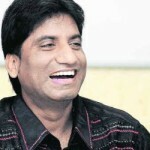 Baba Ramdev and Varun Gandhi are uncertain, I don’t think they are the type of person who will participate. But I surely want to see Fiza Mohammed alias Anuradha Bali and Akashdeep Sehgal recently seen in “iss jungle se mujhe bachao” in the show. Actually it would be fun to see all the contestants from “iss jungle” in Bigg Boss 3.
Who do you want to see in Bigg Boss 3??? I would also love to see Mandira Bedi in the house.